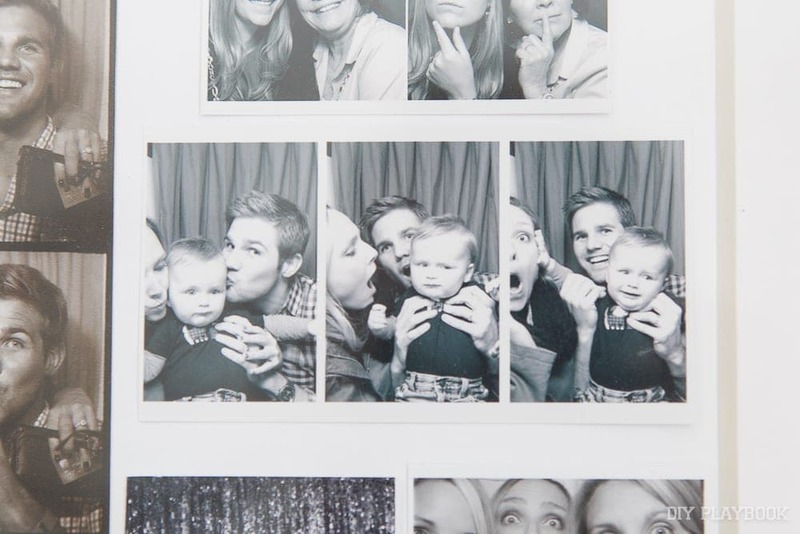 If either of us ever goes to a place where there happens to be a photo booth, chances are we’ll be hopping in to say “cheese!” This old school photo tradition is now all over the place. 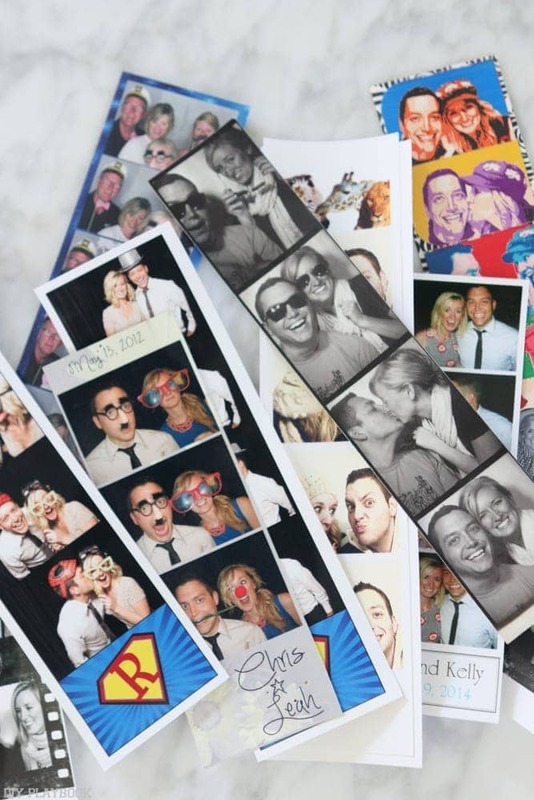 At weddings, at the movies, at bars…photo booths are everywhere! And we are definitely not complaining, because who doesn’t love hopping in to snap a few silly shots?! 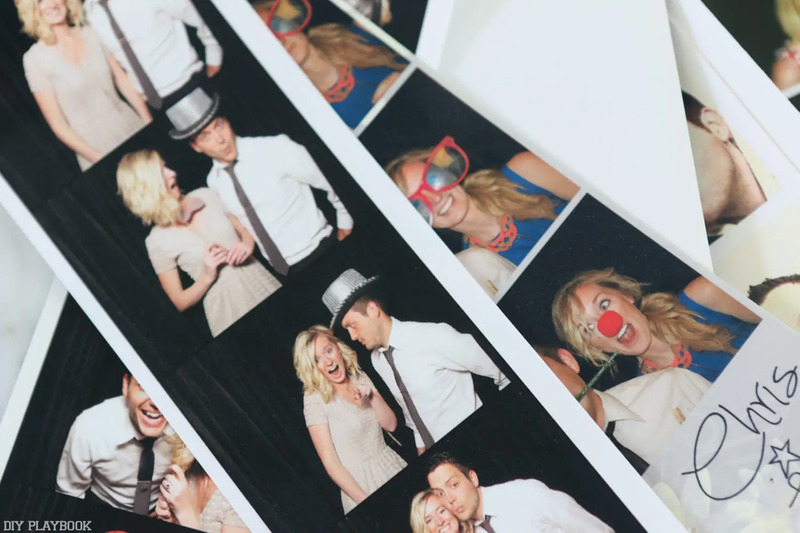 But the question is…what do you do with all of those photo booth strips long after they’re printed? 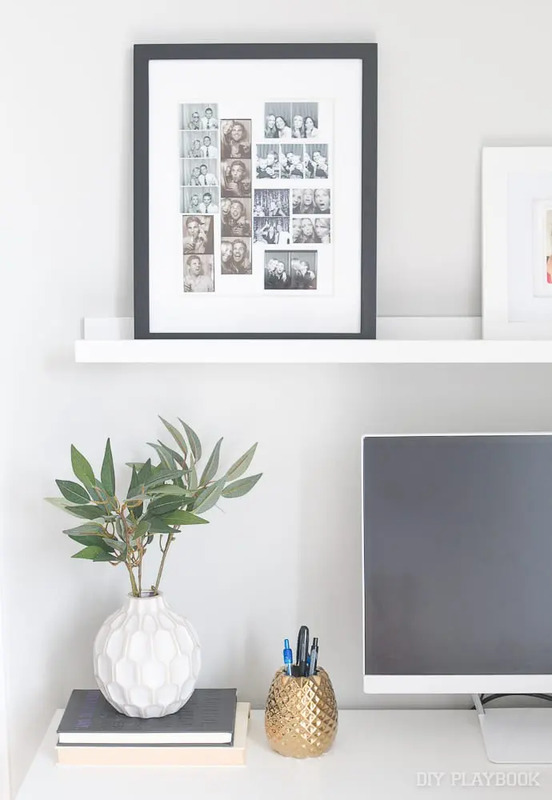 We have a few ideas so you can effortlessly add these prints throughout your home. I recently created a frame with all of my black and white photo booth strips. Okay, maybe not all of them (I have so many! ), but at least all of my favorite b&w prints. I took a black frame from Michaels, gathered up my strips, and had fun arranging them into a grid that looked good to me. I then took a piece of white craft paper and used a glue stick to secure the strips right on there. Clearly, we had more fun in there than he did. Ha! 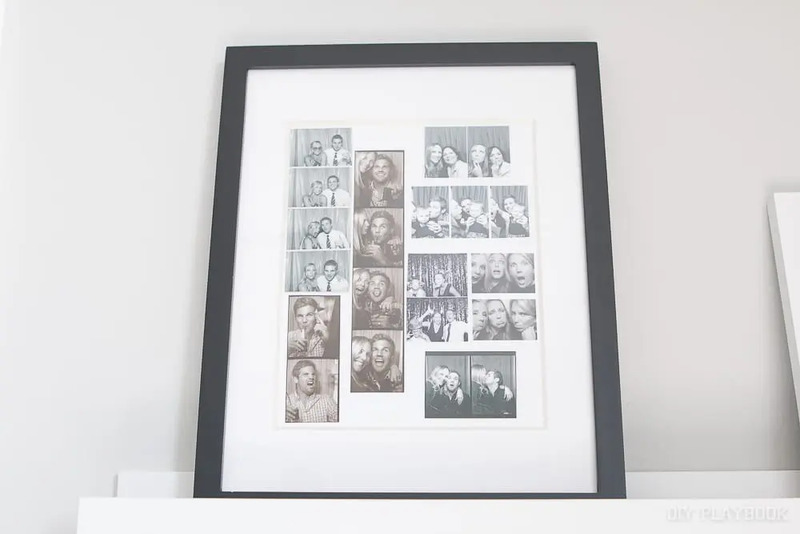 We love the idea of adding a frame like this somewhere in your home so you can really showcase your favorite photos and put them out there for everyone to see. If you know us, then you know we love accessorizing with meaningful pieces. 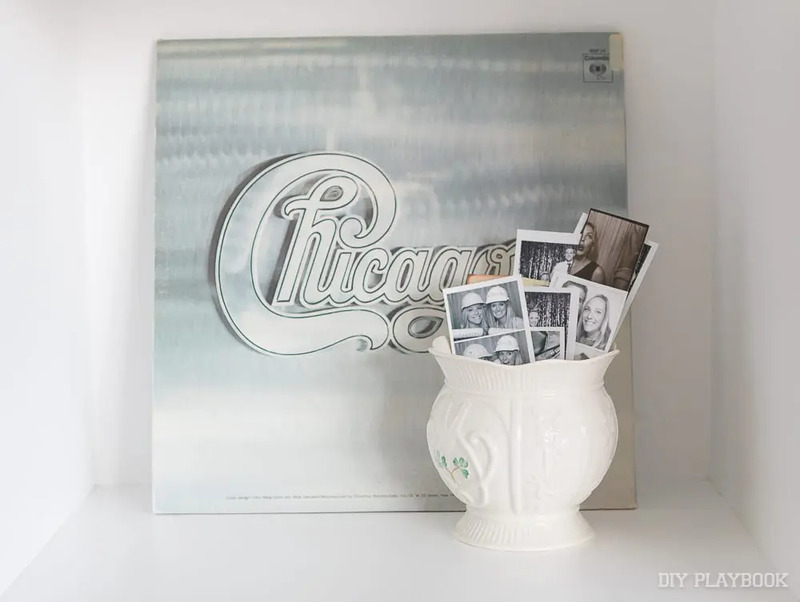 Why pick up a random accessory from the store, when you can show off a personal item on your shelves? This vase is a family heirloom (showing off our Irish pride! ), and inside I stuck in a stack of photo booth strips. 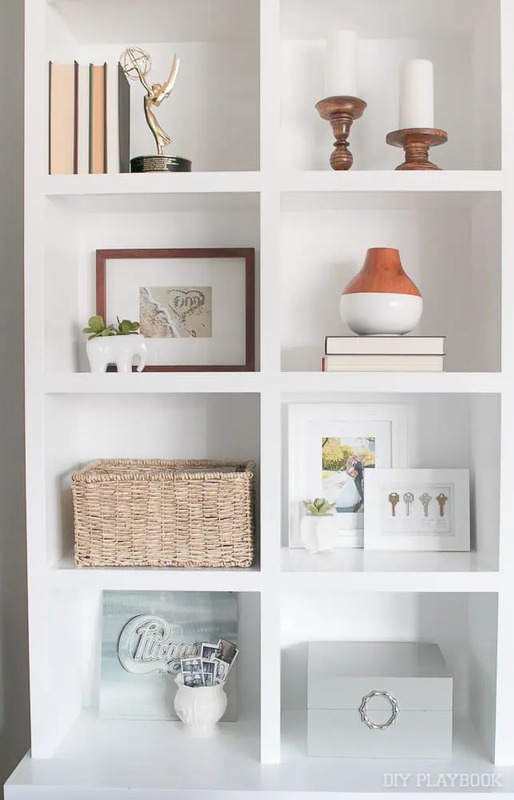 This is placed right on our built-ins, so friends can easily sift through them when they’re over. I’ll often flip which ones are displayed in front, so a variety can be showcased prominently. Another idea is to keep black and white prints together, and colored prints together. This makes a nice visual statement when on display. 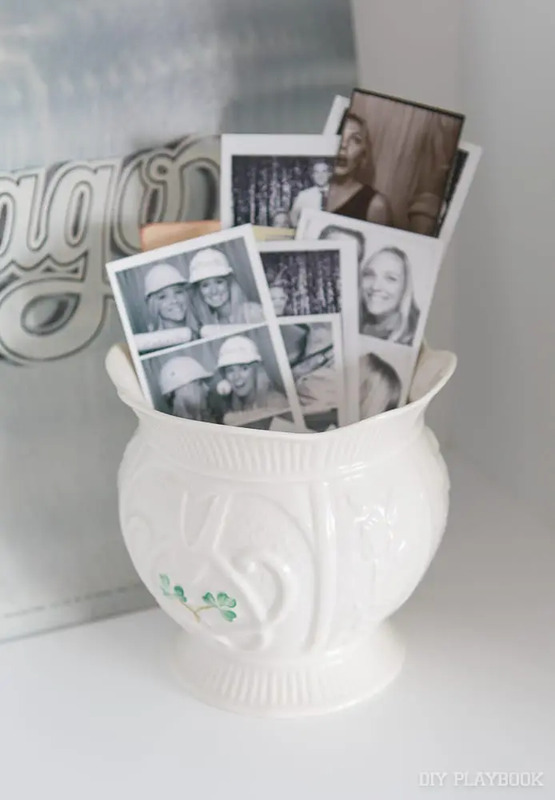 Above, I simply used a small planter to corral all of the color photo booth strips in one spot. 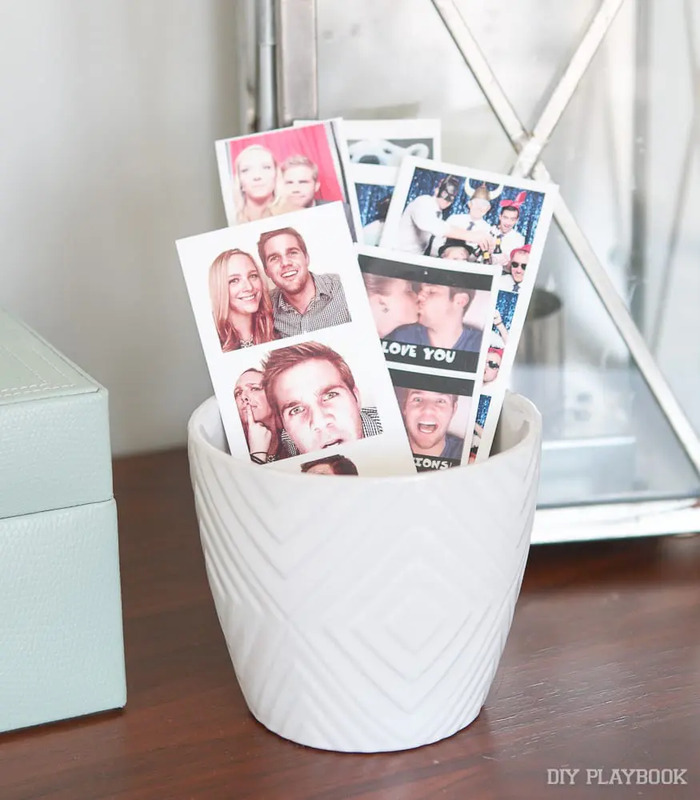 This sits on the dresser in our bedroom and we get a kick out of seeing these silly photos out all the time. 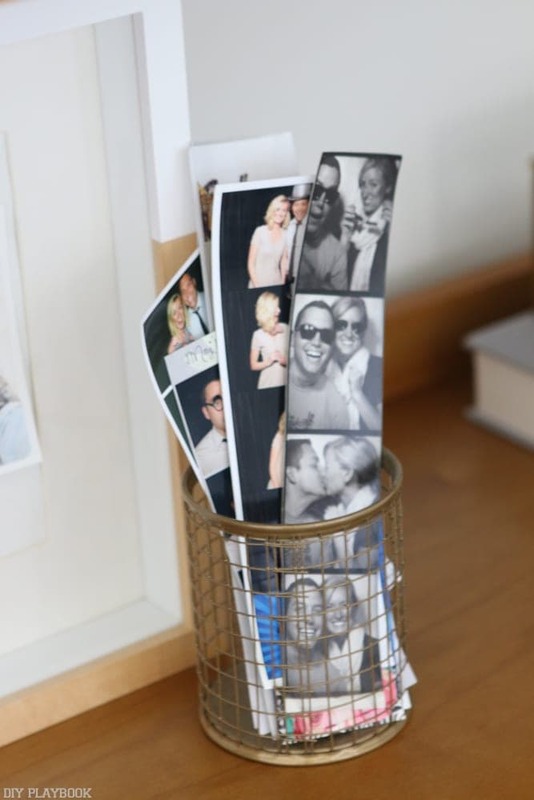 We love displaying photo strips because they are such a meaningful accessory. 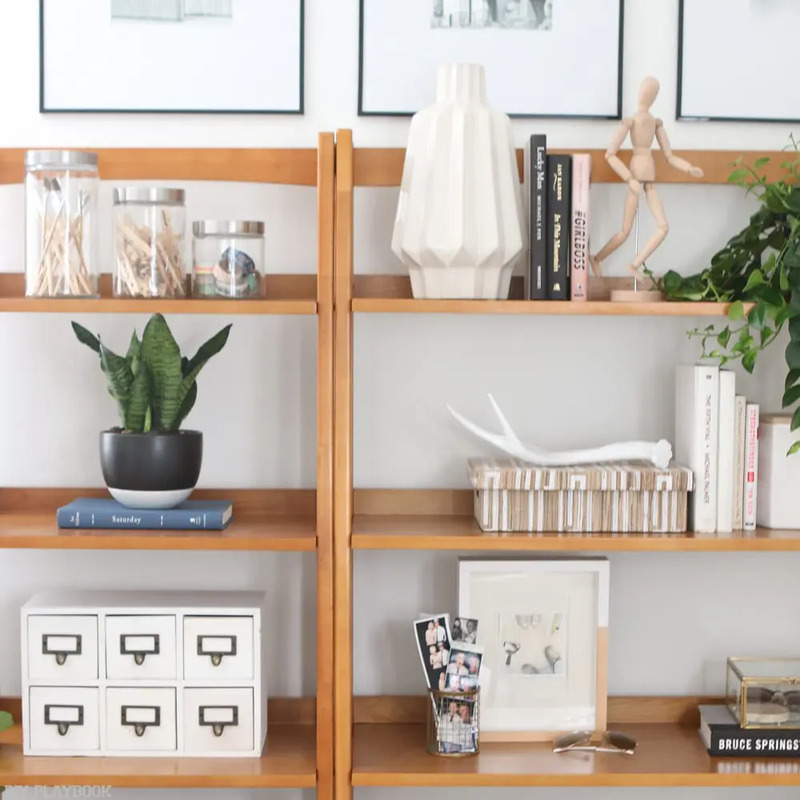 But we also love that these simple pictures instantly add some varying height to shelfies! In Bridget’s office, she plopped them in a pencil holder from Target and added them to her shelves. 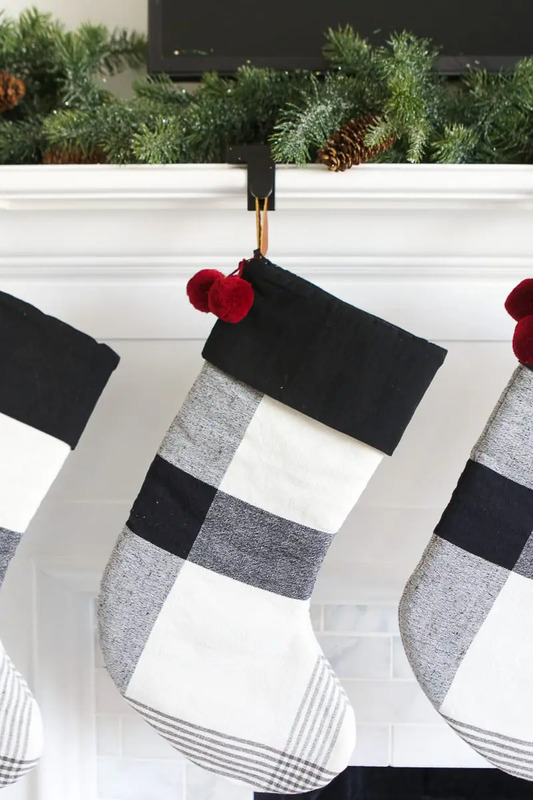 They pair well with just about anything because they’re tall and add interest! 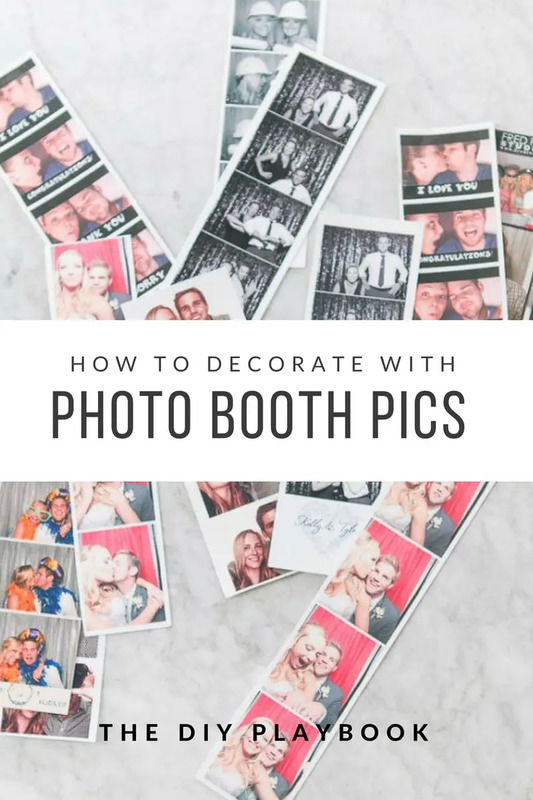 Random Photo Taking Tip: We would be remiss if we didn’t add one last tip for when you’re actually in the photo booth taking those beloved pictures. Usually, we’ll come up with 4 scenarios or words to act out while in the booth. The first photo may just be happy smiles, but then someone yells out a word and you have to act on it. Like “angry”, “scared”, etc. It’s always HILARIOUS to see what people think to do right on the spot. Just a little tip if you want to get some silly shots. 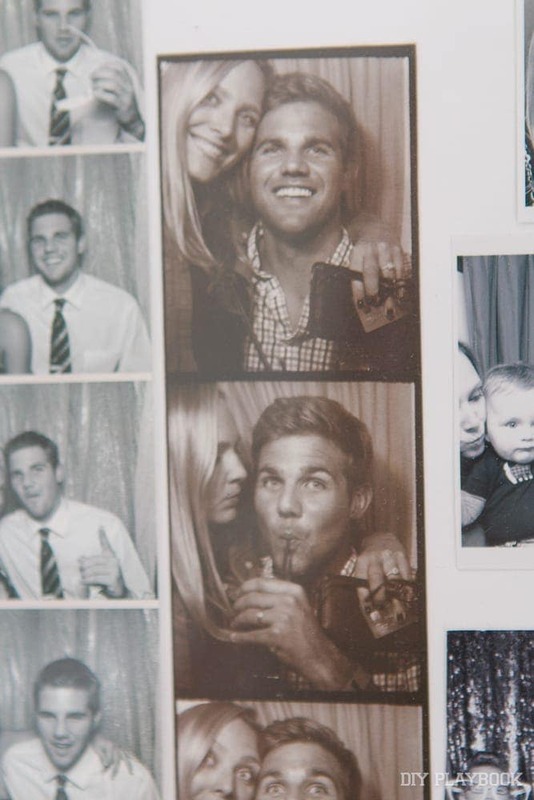 Can you tell we’re head over heels for photo booths? 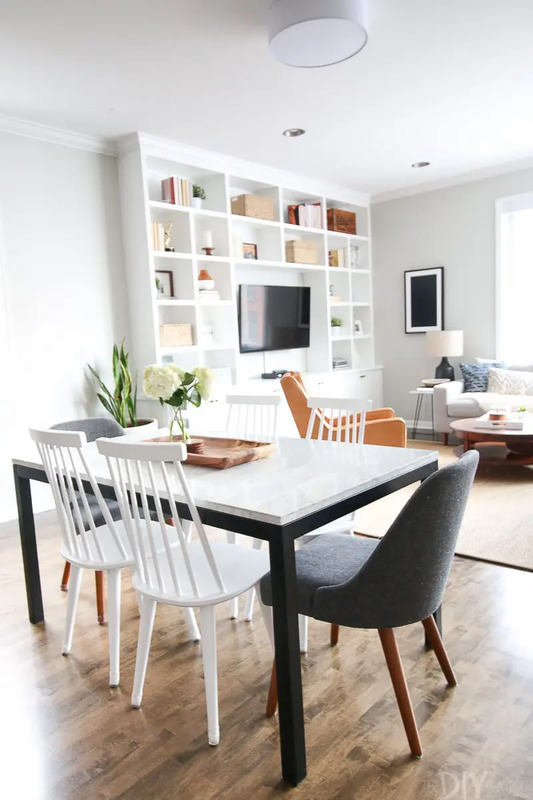 We’re hoping that this trend is here to stay! There’s just something nice about physically having prints of special memories, instead of just storing those moments on your phone. We encourage you to showcase all of those times so they can bring a smile to your face every single day.